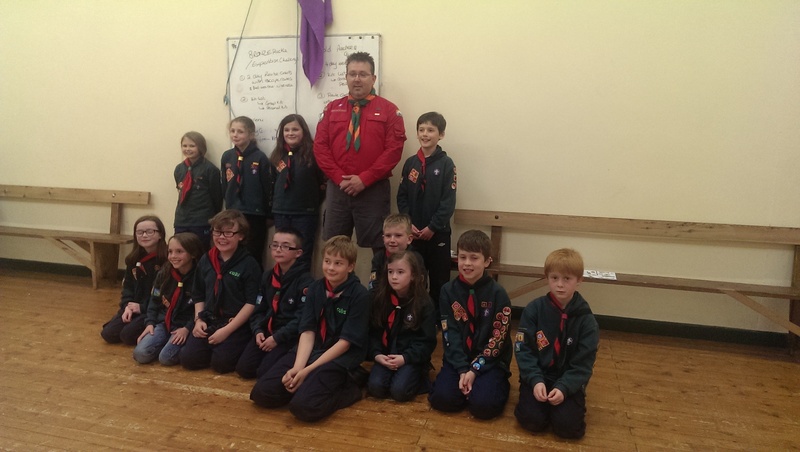 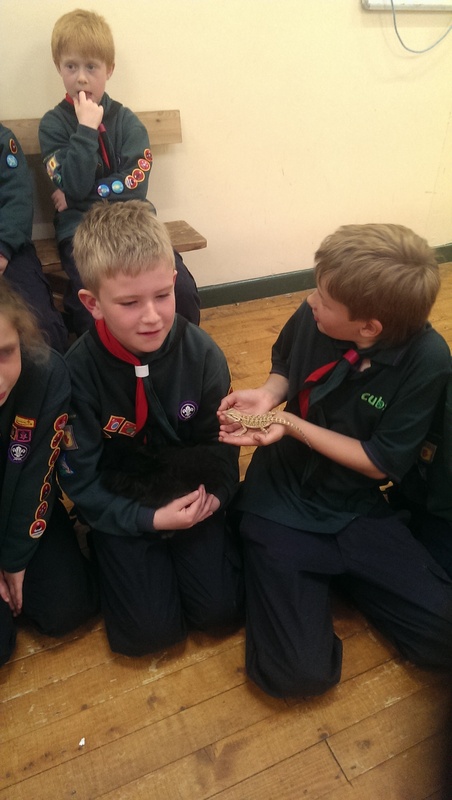 Cubs – Animal Care, Canadian Visitor & Chief Scout Silver! 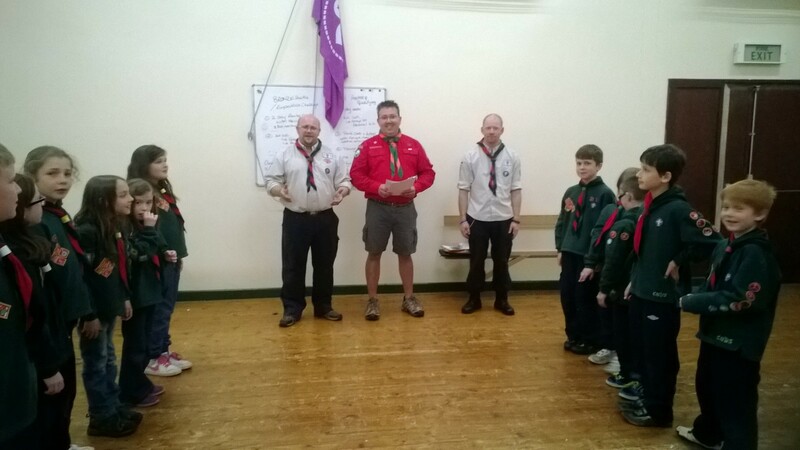 We were visited by Tim Chamberlain, Akela from 3rd Bridgewater Cubs in Nova Scotia, Canada with whom we had exchanged letters last year. He gave the cubs an overview of their programme, discussed the similarities and held a Q&A session, he left us with some Souvenirs. 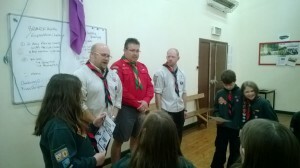 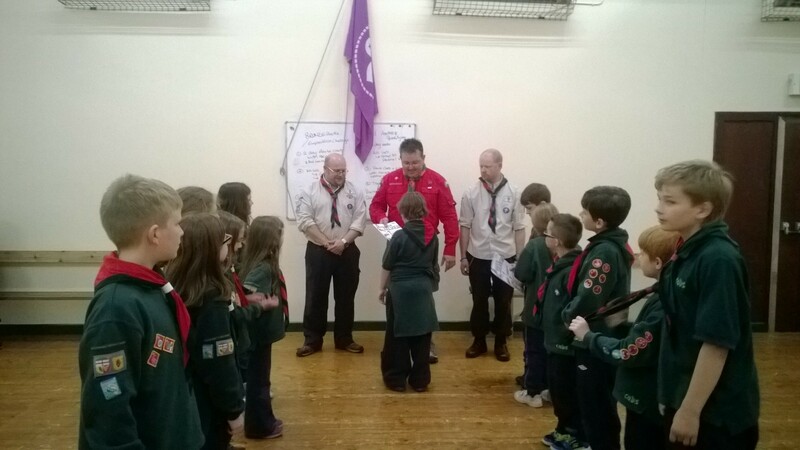 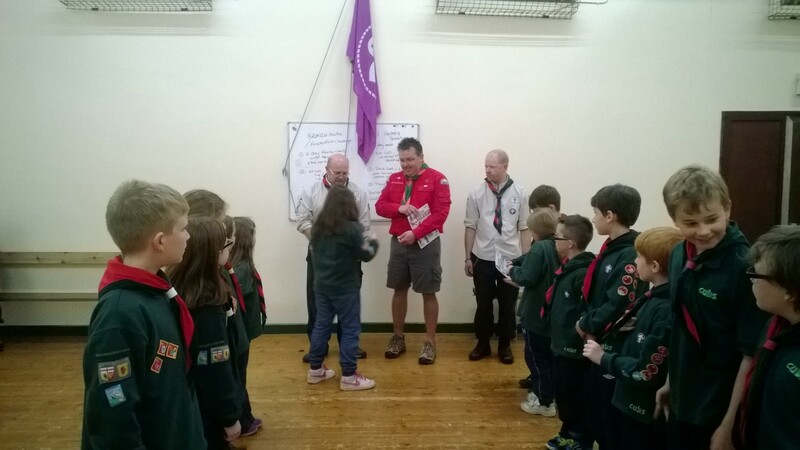 Tim also presented three of our cubs with their Chief Scout Silver award, the highest badge a cub scout can earn, they got the badge and a certificate signed by Bear Grylls, Chief Scout. Well done cubs! Next Post Baggy’s End of Year Camp! !